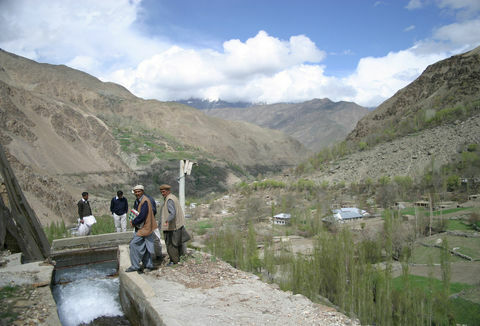 The first public-private partnership in Tajikistan, Pamir Energy has so far restored 11 small hydro power plants and upgraded 4300km of old transmission and distribution facilities in East Tajikistan. As a result, 96% of households there, some 200,000 people, now have access to clean, reliable and affordable electricity. More recently, communities across the border in northern Afghanistan have been connected and are able to access electricity too, some for the very first time. The availability of electricity means that students can study in the evenings; doctors can perform life-saving surgery; families can warm their homes without producing harmful smoke or using wood for fuel (70% of local forest lost); women can free up their time to start new enterprises; and the mountainous communities of the Pamirs can connect to the rest of the world. 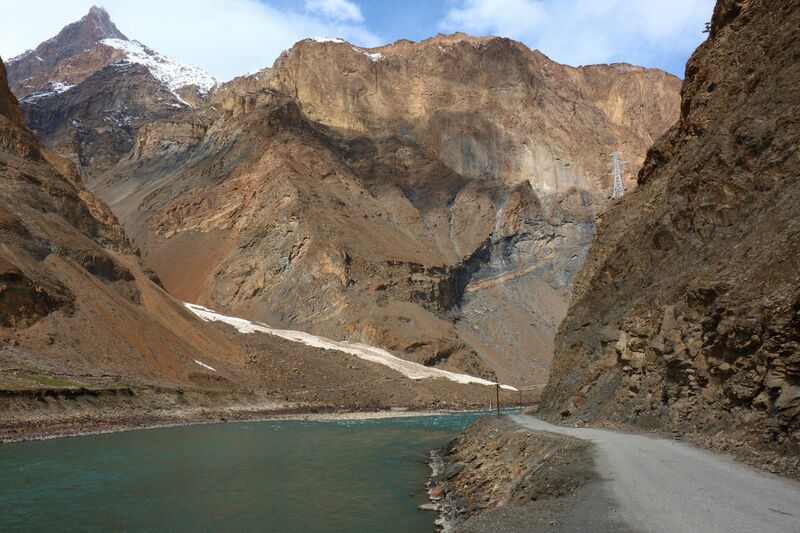 Pamir Energy’s approach to providing hydro power to a whole population in a remote mountainous area is highly replicable and could apply to other hard to reach parts of the world. 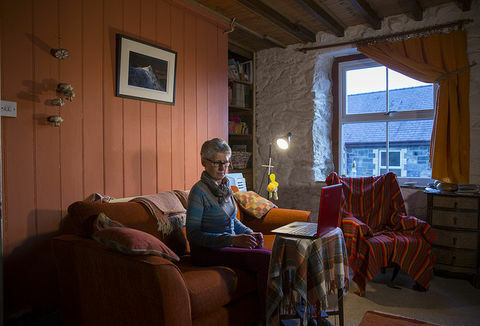 By tackling the full range of energy needs and effective distribution the company is bringing about a massive step change in the lives of residents. Viloyati Mukhtori Kuhistoni Badakhshon (VMKB) is a remote mountainous rural area in the Pamir Mountains of eastern Tajikistan, bordering Afghanistan. The region has variable government services and infrastructure, and it is not connected to the main Tajik national grid. Following the collapse of the Soviet Union in 1991, much of the region’s electricity supply failed due to a combination of withdrawal of Soviet-subsidised diesel fuel for generators, which had provided most of the power, along with the destruction of the transmission infrastructure during the five year-long civil war. In 2002, when the Government of Tajikistan developed the Pamir Energy project, only 13% of VMKB was supplied with unreliable electricity, and no electricity was available in the cross border areas of Badakhshan Province in Afghanistan. The lack of electricity for heating resulted in the closure of schools, health centres and businesses. Instead people had to rely on kerosene, coal, dung and firewood to light, heat and cook in their homes. The cost of these fuels was particularly high in terms of deforestation and, due to the remoteness of the area, resulted in high transport costs. Around 70% of the region’s forests were destroyed in the decade following the collapse of the Soviet Union. 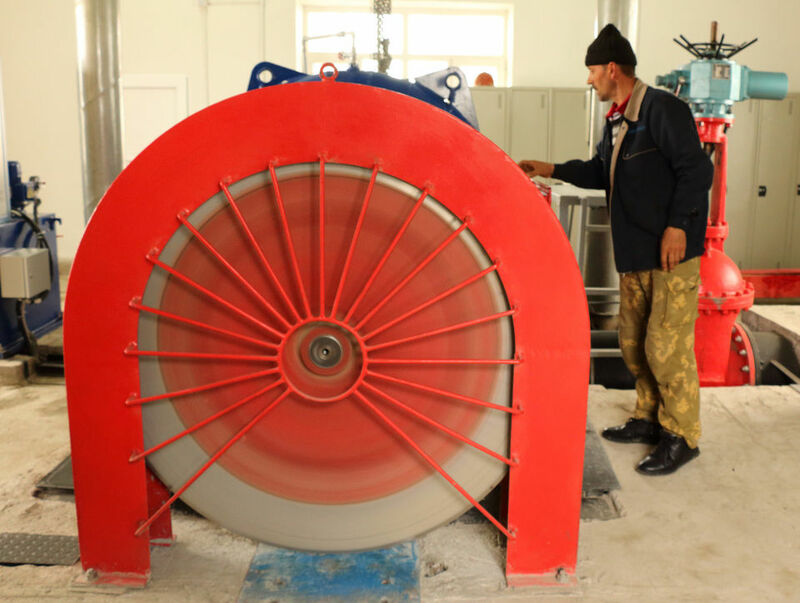 Pamir Energy now generates, distributes and sells clean electricity, produced by a series of small and medium hydropower plants, to 96% of the population of VMKB, along with border areas of Afghanistan. This is a major achievement in some of the most remote, rugged and challenging mountain terrain of any inhabited part of the world. Most of the hydropower plants are major restoration / upgrades of Soviet-era ones, many of which had either ceased working or were only partially functioning. 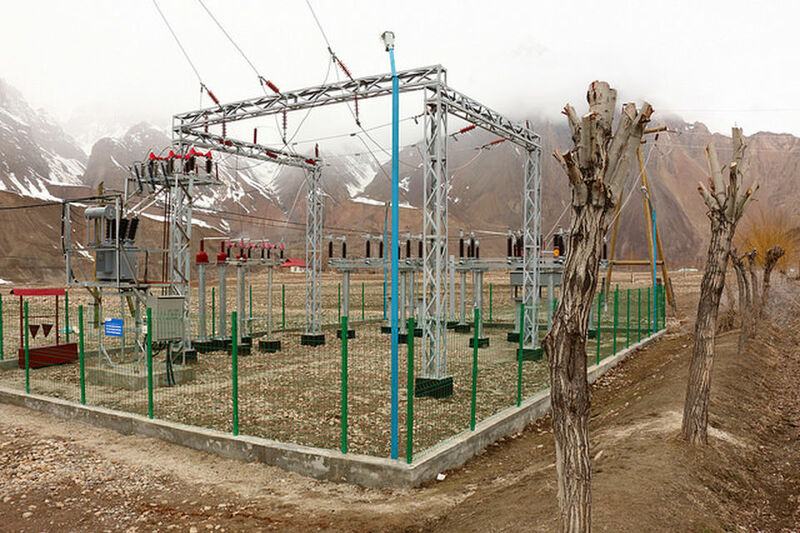 Ten of the plants are linked together in Pamir Energy’s own regional grid, which has been upgraded, whilst two plants are connected to mini-grids. The resulting high quality, reliable electricity is a vast improvement on previous power supplies. Pamir Energy supplies electricity on two tariffs; one for commercial and government entities and another, cheaper one, for domestic customers. In addition, to ensure everyone can afford basic levels of power, the Government of Tajikistan created a Customer Support Scheme (CSS), which provides greatly reduced tariffs, during the critical winter months (up to 68% discounts) for those consuming relatively small amounts. This support ensures that consumers do not revert to dung, coal and wood, and still have cash leftover for food, healthcare and other critical needs. Pamir Energy was founded in 2002 as a public-private partnership by the Government of Tajikistan and Aga Khan Fund for Economic Development (AKFED), under which it has an exclusive concession to supply power to the whole of VMKB until 2027. 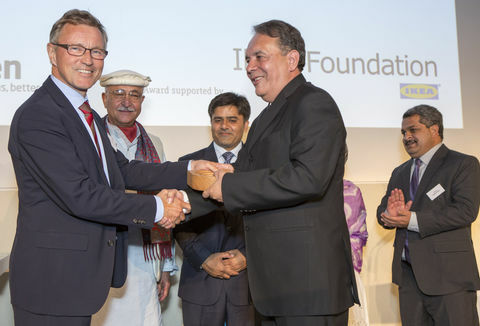 It was financed by the Aga Khan Fund for Economic Development (AKFED) and the International Finance Corporation (IFC) and the International Development Association (World Bank), with the support of the Swiss Government’s State Secretariat for Economic Affairs (SECO). Pamir Energy has refurbished and built 11 small and medium hydropower plants and has upgraded 4,300 km of old transmission and distribution facilities, cutting transmission losses from 39 to 12%. The plants range in capacity from 130 kW to 28 MW, with a total capacity of 43.4 MW. They produce about 170 GWh of electricity per year and supply over 33,000 customers, representing some 254,000 people: 220,000 in Tajikistan and 34,000 in Afghanistan. 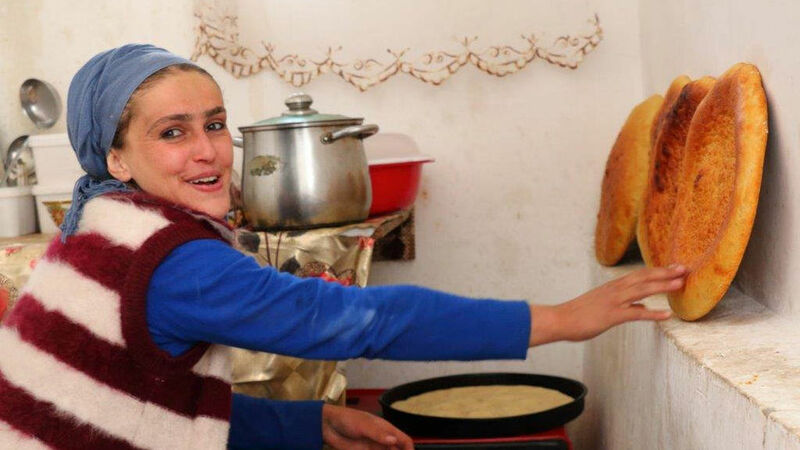 Reliable electricity has resulted in major benefits to women in particular. Women and girls no longer need to spend hours collecting fuelwood, freeing up time for education and income generating activities. Household life has improved considerably - water boils quickly, cleaning is easier and lighting increases the hours in the day. Household air quality has improved with the replacement of wood and kerosene and average household energy costs have been cut substantially. Households spend the savings on health, better food, better education for children, clothes and transport, and small business investments, among other uses. Schools, health centres and businesses have reopened. 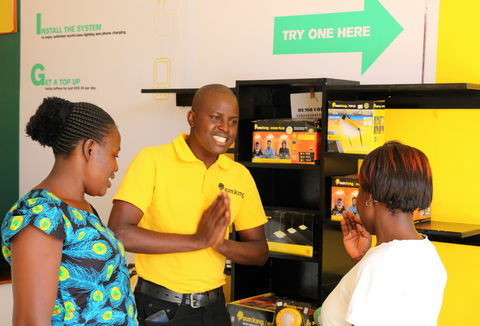 Electricity has improved medical facilities enabling them to offer a greater range of health services and provided heating and internet access at schools. One school teacher said:“it was noticeable how pupils as a whole did better once the improved power had arrived”. Commercial enterprises are now flourishing; today there are more than 2,100 businesses, up from some 600 in 2006. This has all been achieved with clean power, which is also reducing pressure on the region’s natural environment. Customers pay at Pamir Energy’s network of district offices, via ATMs or to collection agents using handheld point-of-sale terminals, which also read the meters. 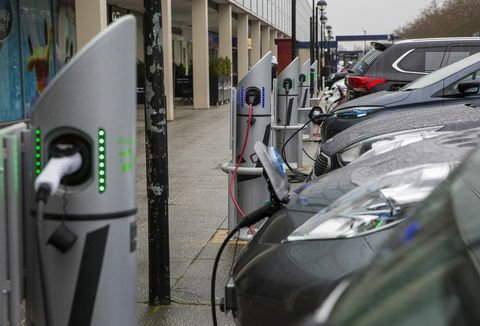 Smart meters have been installed since 2014 which allow the company to monitor usage and regulate supply to match demand, and can also be used to cut off supply remotely for defaulting customers. In addition, the system is ready to accept mobile payments when the technology comes to the area. Run-of-river hydropower plants are environmentally benign as they do not require a dam. Water is diverted from the river via a channel to create enough elevation (head) above the power house. The water is held in a forebay (small pond) before flowing down a pipe (penstock) into the power house where it turns a turbine which generates power. The water exiting the power house flows back into the main river. The turbine selection is dictated by the design head and flow rates; most use Francis turbines and the equipment is sourced from a range of countries. Power is distributed along low-loss transmission and distribution lines. Pamir Energy has been upgrading one plant to 1.5 MW serving 1000 households in East Tajikistan, and in the short term Pamir Energy aims to build a new 125 kW hydropower plant to supply a further 200 households, as well as to accelerate further electrification of northern Afghanistan. The company has identified at least 30 potential hydropower sites, including a 11 MW Sebzor hydro power plant, which would meet increasing demand, including from the newly established University of Central Asia. Ultimately, Pamir Energy is interested in extending its grid to other areas of Tajikistan and moving further into Afghanistan to help catalyse further socio-economic development in the region. AKFED is also looking at opportunities in northern Pakistan. There is real potential for replicability of the Pamir Energy public-private partnership model using hydropower in other mountainous regions of the world.